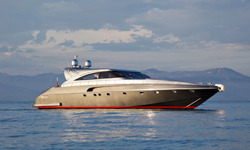 Absolutely beautiful Baia Aqua 54. 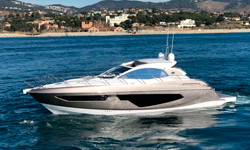 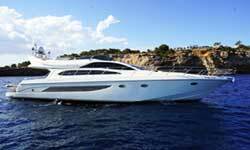 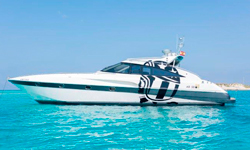 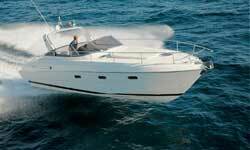 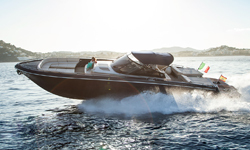 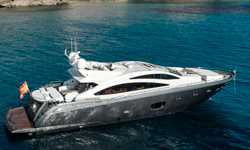 This fast cruiser is modern and elegant to enjoy a long day in the hot Ibiza sun! 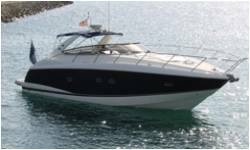 2 double Cabins + 1 twin cabin with private bathroom, Bow and stern sundeck, fridge, sink , outside shower, gps probe, Electric Windlass, stereo.